On August 31, 2018, President Tran Dai Quang sent a letter congratulating the Education sector, the parents, students and pupils on the occasion of a new school year. Ams Wide Web would like to introduce the full text of the letter. To: the personnel of the Education sector, the teachers, parents, students, and pupils. Joining in the exciting atmosphere of the new 2018-2019 school year, I would like to send my warmest regards and congratulations to all the officials and personnel who had and are working in the Education sector, as well as the teachers, parents and students all over the country. In the last school year, the Education sector had continued to implement fundamental and comprehensive changes alike, bringing about numerous positive results. The quality of education at each level was raised considerably. The Vietnamese delegation at the Olympiads as well as other regional and international science and technology competitions had all won high prizes, earning great respect and admiration from peers around the world. 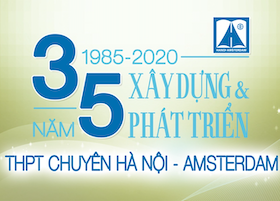 Furthermore, for the very first time the National University of Hanoi and National University of Ho Chi Minh City had been among the top 1,000 universities in the world. On behalf of the Party and State leaders, I commend the efforts and warmly congratulate the achievements of the Education sector in the past year. Regarding the school year ahead, the Education sector needs to keep up its current achievements, continuing its mission to apply fundamental and comprehensive reforms to the system so as to produce a workforce of the highest quality that will contribute to the industrialization, modernization and international integration of the nation. It shall increase management inspection and quality assessment to timely detect and resolve limitations, which could in turn ensure the steady growth of the national education. It is also of great importance to improve the status of education in remote areas and ethnic minority regions, and more attention must be dedicated to children of policy beneficiaries, in order to ensure equal access to education for all people. I hope the teachers will preserve their passion for the cause of education and constantly innovate for the sake of a better education; while the students, making use of our national tradition of eagerness to learn, will work hard towards their ambitions and dedicate their talents to the mother nation in the future. Best wishes to the personnel of the Education sector, the teachers and students for another excellent, successful school year.